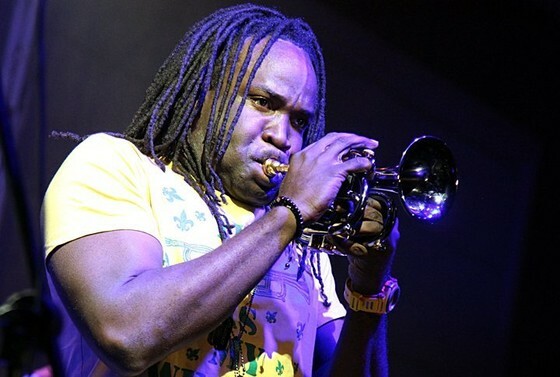 Shamarr Allen has mastered the art of fusing Traditional and Contemporary Jazz and Funk. He became immersed in music at the early age of 7 and began his professional career as a street musician in the French Quarter playing wiht Tuba Fats. Playing with street musicians for tourists lead to his involvement with New Orleans brass bands - the Hot 8 Brass Band, Rebirth Brass Band, Lil' Rascals, Treme and others. He presently leads Traditional Jazz bands and his own Funk and Rock group, the Underdawgs. He has shared the bandstand with music greats like Branford Marsalis, Harry Connick Jr., Dr. Michael White, Henry Butler, Bob French, Leo Nocentelli, George Porter, Ivan Neville, Tim Green and Marcia Ball to name a few and has performed on many festivals and concerts around the world.